This entry was posted on January 1, 2016 at 9:03 pm and is filed under Corruption, Finance, Plutocracy, Systems Of Mind, Systems Of Moods, Systems Of Thought, Theory of Plutocracy. You can follow any responses to this entry through the RSS 2.0 feed. You can leave a response, or trackback from your own site. Happy new year to you and yours. As Andrej said reading your work is like going to a university, taking classes in everything. And plutocracy is the gift which keeps on giving. You have more freedom than Obama, Krugman. Obama used to be your friend, no? Thanks, happy new year to you too. OK, going to expand now on the “hope” thing. For obvious reasons I’m more than a little amazed that the topic of plutocracy is even being discussed in the NYT. Frankly I’m amazed that the use of the word does not bring an immediate prison sentence here in the US. I guess it shows that our plutocrats have total confidence that their values have been thoroughly melded into the minds of virtually every American by now through their ownership or control of all our institutions. I fervently thank you for all your post on plutocracy. They are like oxygen to an astronaut in space capsule that is running out of air. There are only a few molecules left here in the US of the type of intellectual, emotional, and ethical oxygen that you provide. Please keep sending it –and happy new year. 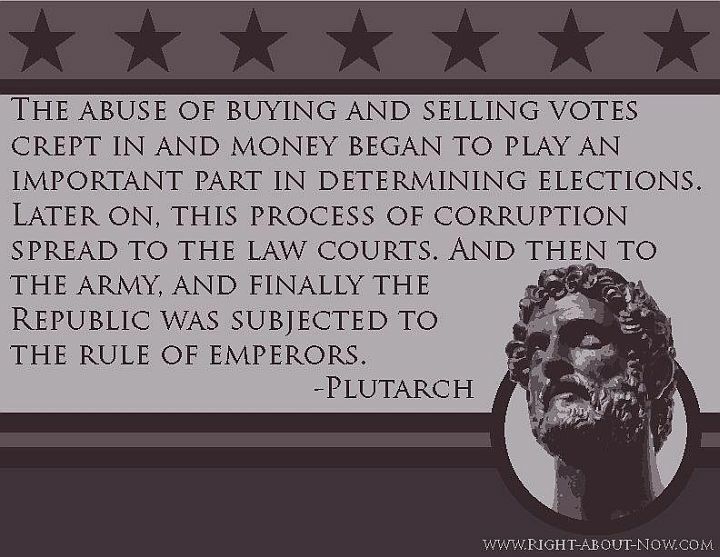 They were careful to withdraw the word “plutocracy” and replace it by the more neutral, vague and general “oligarchy” (not necessarily a bad thing always, as institution need to be led by experts: as Socrates meant to say you don’t want someone who is just a shoemaker to fly your plane). Krugman too was told this, and that’s why he wrote his latest the way he did (inventing a whole number of words to not utter “plutocracy”, but instead describing some of its aspects). The (supposedly left) Daily Kos, for example, has banned me for life (never providing an explanation why, although I asked many times). My explanation is that they are, actually, controlled by plutocracy. So they let outrageous, fully erroneous protests, Chomsky style, knowing full well, that they have no grip on reality whatsoever. But say more real stuff, and you get censored by the DK (as the Guardian does to me, after calling me an… Islamist! But it’s really the plutophobia which they do not like). Dear Patrice and all the others, Happy New Year. I see you start the new year with your favorable subject, the plutocracy. At least you have snow in the mountains. Nothing of this sort in here. “It has nothing to do with global warming :)”. Concentration of wealth is a natural process in an economic system driven by wealth accumulation. This natural process from time to time gets a blow or re-shift of wealth, when there is a global scale economic collapse (like in 1929 or 2007-8). Other case of re-shift of wealth or in a worse case impoverishment of all is caused by war, be it internal as it happened in Russia or external as it happened after the two world wars. Since the end of the 80 year war 1914-1992, that started with outbrake of first World War and ended with the collapse of USSR, the natural process of wealth concentration in few hands vent on uninterrupted. I wonder when and if and why this process will stop. The alternative to the rule of the few, the rule of the many, as to Machiavelli’s quotation………….“Men are so simple of mind and so dominated by immediate needs that the deceitful man can easily find those ready to be deceived.” Machiavelli……………. you yourself put in this page, are mostly simple minded. It is hard to believe the “simple minded mobs” will come with better solutions to problems than the Plutocratic few. So we are in the trap of no real solution. The Platonic intellectual-aristocratic rule proved to be catastrophic, but so the democratic rule, where the public mood can be so easily swinged from one extreme to an other, not to speak about the easiness with which this public opinion can be manipulated when spiced with a little or lots of money. A certain improvement can be achieved if a world wide government will be established (World i mean that part of the world, that is more interested in material wealth for its citizens, than to pursue some imaginary God or his prophet). Hopefully such a World Wide government will be so busy solving complicated unsolvable local problems, that will have no time to persecute the ordinary citizens. So my New Year wish is “Long live to organized Anarchy”. Most people are pretty stupid, true, but it’s deliberate: they want to be stupid, it’s relaxing. So they chose a fool such as Obama to “lead”, meaning he follows orders, while having to live around, within and for guns and the dangerous men who handle them. So Obama does the thinking, other do the relaxing. Actually, around Obama, you have hordes of opportunistic over-achievers obsessed with acquiring mansions and power, and then a few true friends he had before who did not hop on the gravy train. It’s mostly because, to hop on the gravy train, one has to do several bargains of the Faustian type. To focus on power on other men (wealth) one has to sell one’s mind, soul, heart, and even agenda (“overbooking”). How can Obama think with all the “duties” he has to proceed with? When skiing alone in the extremely snowy woods, among colossal amounts of snow, I must admit, I do think deeper, and differently, than at a desk. Direct democracy will force the couch potatoes to start thinking. As it is presently, they are given no responsibilities whatsoever, only 2,000 fools do all the thinking. They are fools, because the very power they have, like Obama living around guns, doing all these duties 24/7/365, they have no time to think and debate. Oh, yes, they debate among each other, but that’s not thinking, it’s just crabs conferring on a beach. Direct democracy will force generalized thinking. We are not stuck. Right now all of civilization is steered by a few thousand people. It does not matter who they are, it has to be changed. Debate among millions will quickly become much more clever (as studies on pigeons have shown). For organized anarchy, Europe is doing pretty well. I agree and that’s why i support EU. Better a chaotic, hesitant, bureaucratic, ineffective government than an effective, murderous, nationalistic – communistic one. If a united world government would be created, it’s task would be to cope with the problems on the global level, meaning world ecology. All the rest would be solved on the local community level. Community can be a culturally connected one ore geographically connected one. Such a global state would have an army-police its only task would be to defend the human communities in one issue, annihilate those who are threatening them. It will immediately intervene and suppress the obviouse criminal villains, (like Sadam Husain) before they have chance to create community with murderous intentions like the terrorist groups, based on religious, nationalistic or social fanaticism or some kind of egomaniacal führer based community. The local governments would be responsible for all the other issues, like education, culture, health, police for petty crimes etc. At the end such a government will lose its relevance as a political entity and will become a professional institution. Isn’t this a nice utopia? But as every Utopia, it means such a society would be very static and a social change would be almost impossible. So let’s not suggest big shifts in political structure, it is enough if the criticism against the phenomena of EU and its sloppiness you put in historical context and see the long run trends behind it. Banks and financial types rule. This will go on until people understand banks create money, THEIR money. Until then bad people will steal candies and even daily food, the pain quotidien, from the naïve. Of course, the idiots could die first… But that won’t be any fun. Do not worry, the time of banks running the world is over, so is the importance of money, that everything turns around it. We already have free of charge economy on internet supplying services like culture, education, post services, you add the rest. The only service you need to look for beyond your laptop are spa wellness massage and skiing, but anyway there is no snow left so we can skip it 😩;(.